Toshiba E-Studio 2303A compact lightweight digital multifunction monochrome copier machine has 2400 × 600 dpi copy resolution, high speed USB interface, color scan. Dimension 575 x 540 x 402 mm / 22.6" x 21.3" x 15.8"
This product toshiba e-studio 2303a photocopier comes with 1 year free service warranty, consumable & mechanical accessories depend on copy life - 70000 copy / six months, no warranty any electrical / electronic parts. 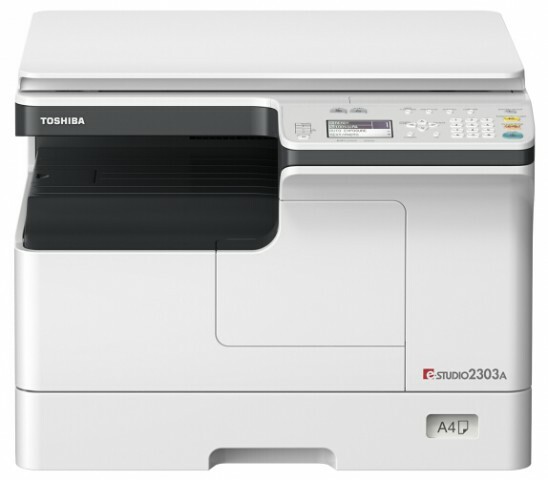 Visit showroom or call to buy the toshiba e-studio 2303a photocopier from Dhaka, Bangladesh.